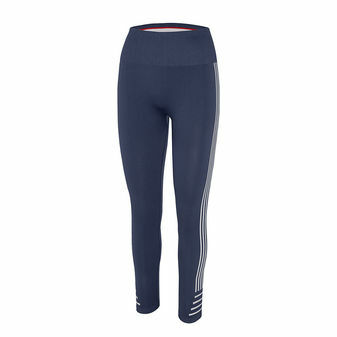 Stand out in these statement stripe sport tights. Double Dry technology wicks sweat for cooler, drier comfort. Soft tri-blend fabric minimizes chafing and stretches for ease. On-trend, ankle-skimming 7/8 length. Knit-in ribbed waistband keeps you covered. 25-inch inseam.